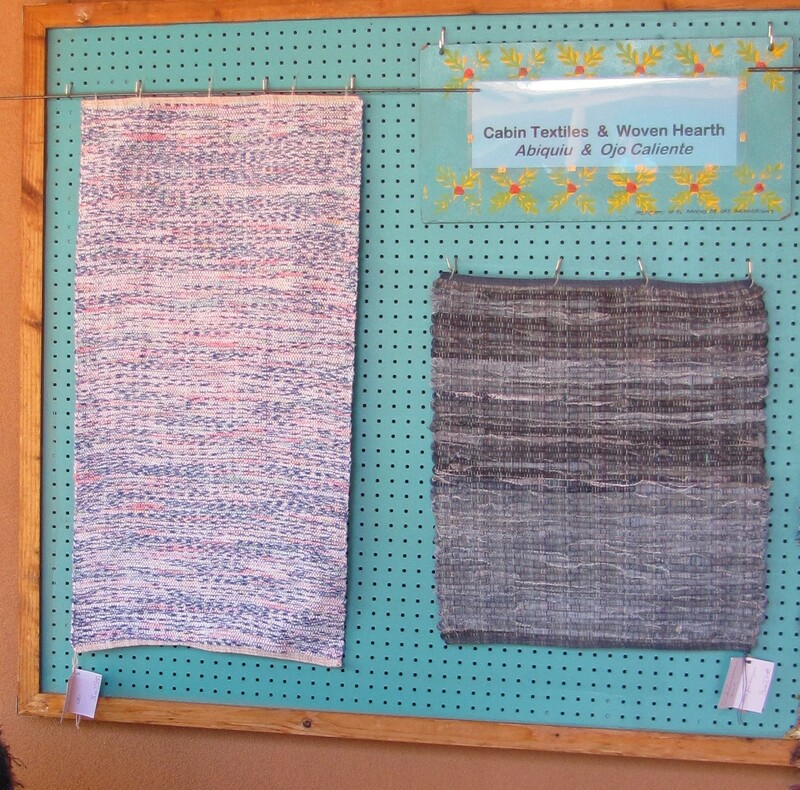 A few weekends back (Memorial Day weekend), Cabin Textiles and Woven Hearth teemed up to participate in the Santa Fe Fiber Arts Festival held at the beautiful El Rancho de Las Golondrinas. It was a wonderful weekend, even with the rain (or in my little opinion, especially because of the rain). There were plenty of vendors, demonstrations, and archery! Yes, archery. Which was particularly thrilling for those standing next to me when I took my try at the range. Plus, all visitors and vendors had access to various exhibitions and museum and walking trails available at Las Golondrinas. 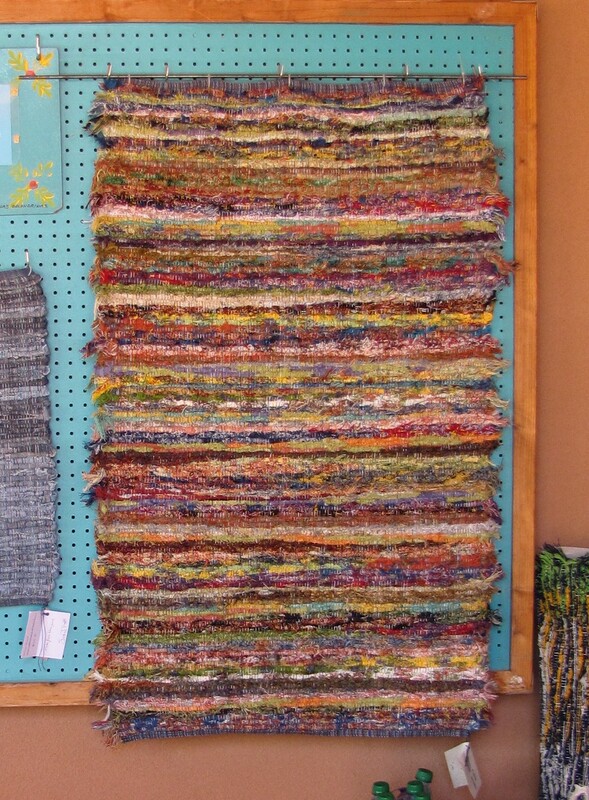 Cotton shag Happy Rug by Cabin Textiles. This was my first time at this venue, and I got lost. Yes, I did check a map before heading off. No, I did not trust my map – instead I followed the signage. Haha! So, the scenic route for me. Turns out there are two ways to approach Las Golondrinas. The one I discovered took me through La Cienega and past their trash transfer station. The second route is much more direct, utilizing the frontage road. Anyway, it is an exceptionally beautiful location and I look forward to visiting Las Golondrinas again. And they had wifi so I could use my little credit card swiper gizmo. Hooray! We had a corner booth that worked out quite well for displaying one of my mom’s (Sandy Voss’s) large rugs on the wall. Our booth neighbors (TDLT Fiber Artists) were a cheery group of ladies who shared food and drinks back and forth with us throughout the weekend. (Barbara Anne – thank you for the humus!). There were also lots of demonstrations – both the regular ones provided by Las Golondrinas volunteers and some of the vendors. 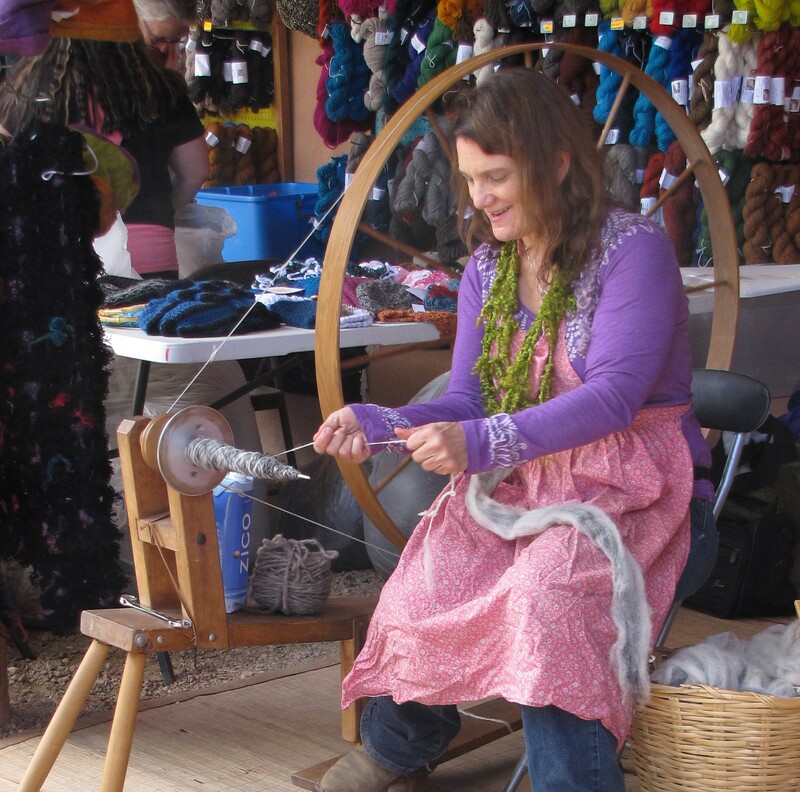 Sheep, bunnies, spinning, felt work, paper making, weaving, etc. And I met Inger Seitz, whose work I have seen through the Las Tejedoras Newsletter. Chatting with her about rag rug weaving in Finland was great! What follows are lots and lots of pictures. enjoy! 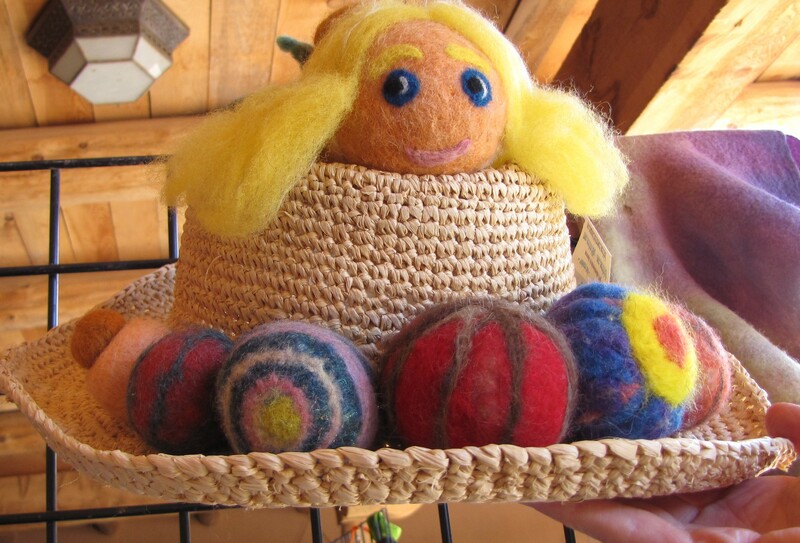 Nicole Blais – feltmaker and Las Golondrinas volunteer, & unfortunately I can’t find contact info for her. Beautiful roving by The Natural Twist. Dolls by the TDLT Fiber Artists. Woven wraps by TDLT Fiber Artists. 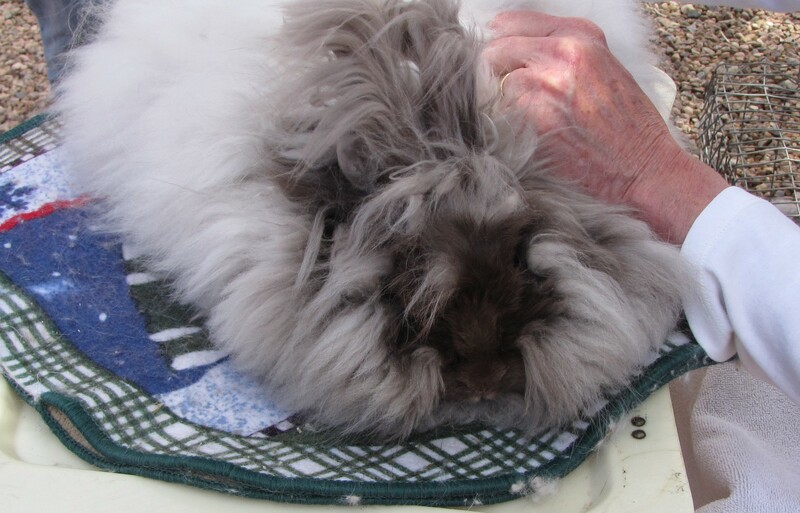 The de-fuzzing of an angora rabbit by Rio Fernando Farm. More skeins by Hairball Yarns. 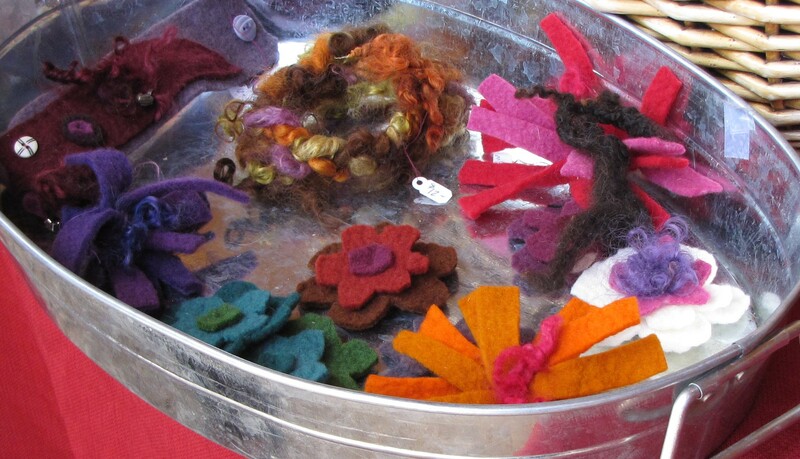 More felt art by Las Golondrinas volunteer Nicole Blais. 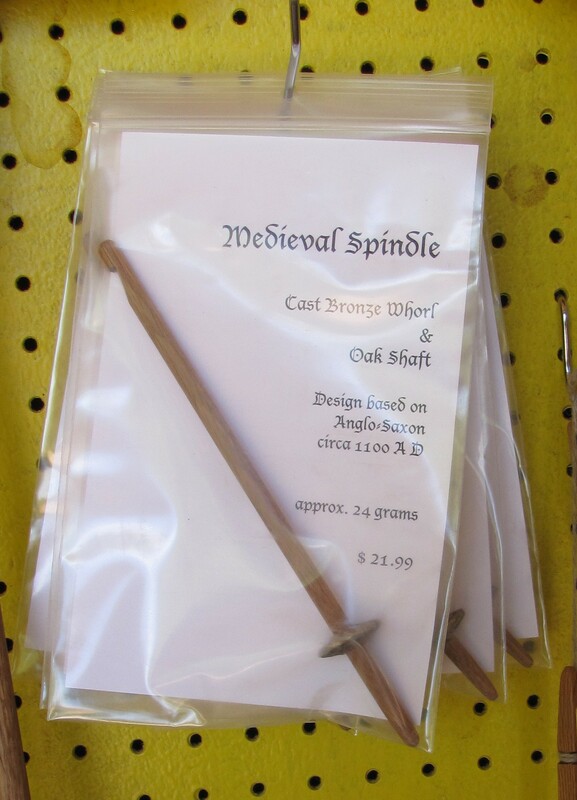 Here is a medieval spindle with cast bronze whorl & oak shaft from The Natural Twist. Rag rugs by the TDLT Fiber Artists. 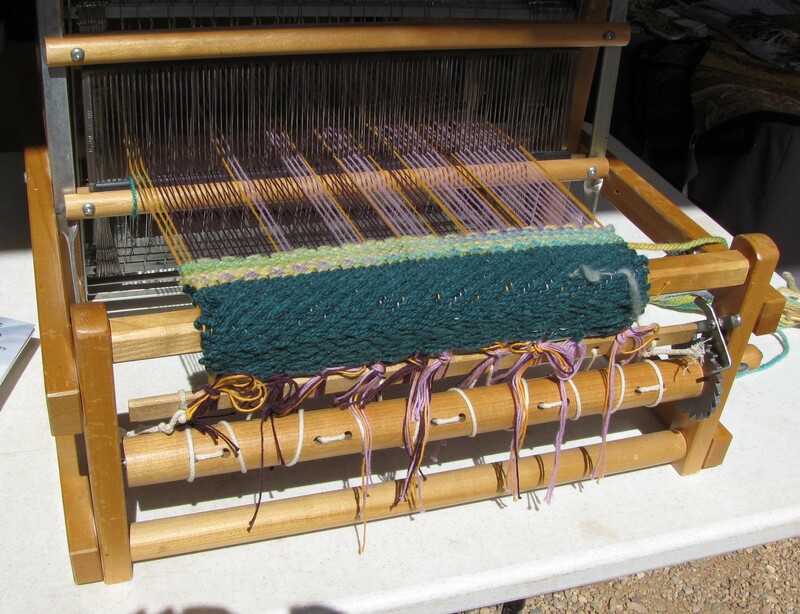 Table loom demo by TDLT Fiber Artists. Felt pins by Lisa Joyce Designs. Happy hat by Felt Free. 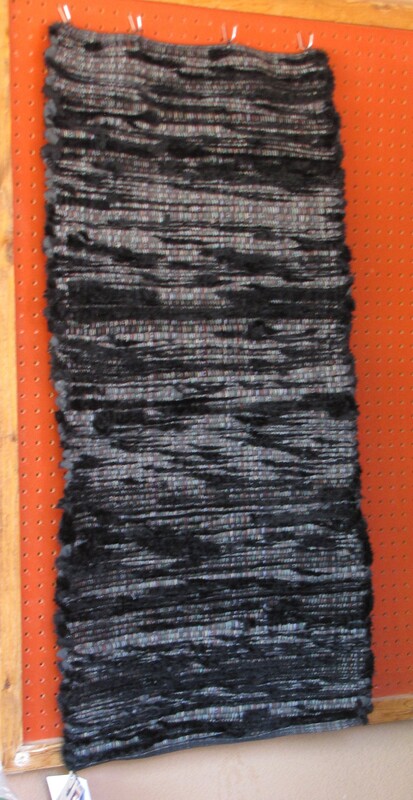 Rag rug made from faux fur by Woven Hearth. Natural dyes by The Natural Twist. 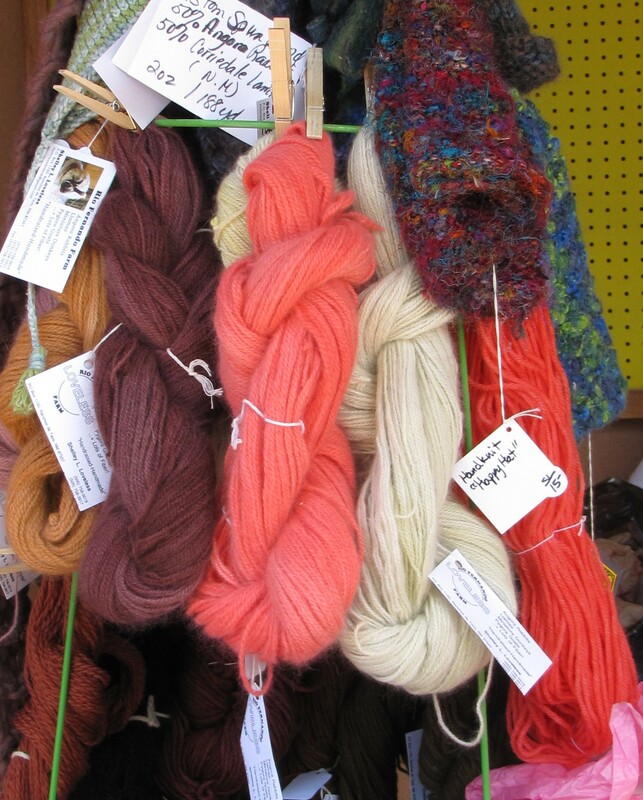 Locally spun, hand-dyed wool by TDLT Fiber Artists. 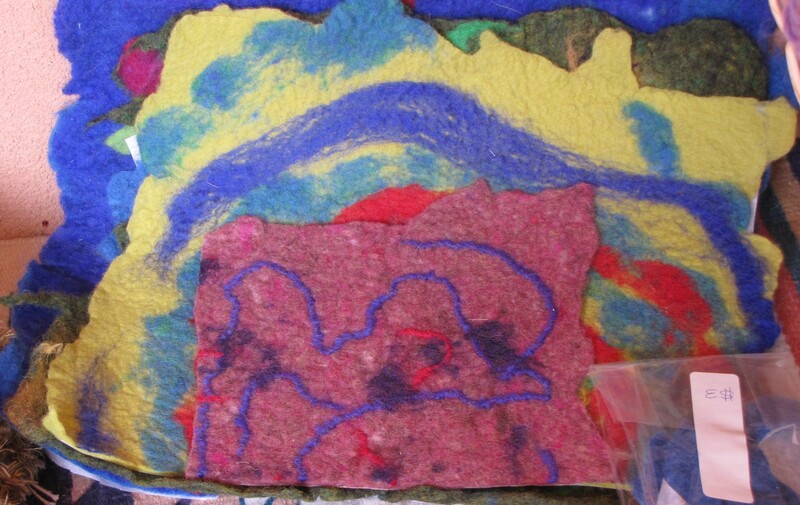 Wall felt art by Sacred Heart. Spun tidbits by Lisa Joyce Designs. 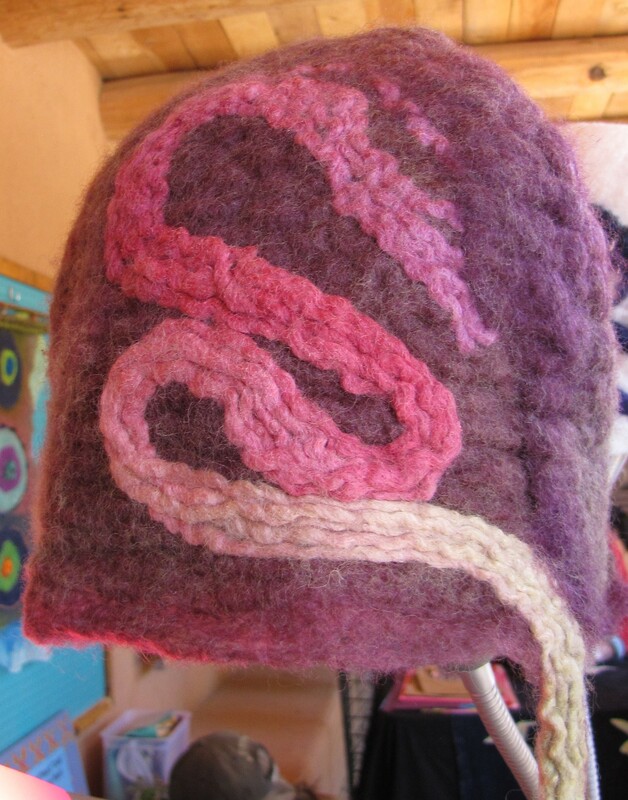 Felt hat by Felt Free – I see a dragon or Sky Eel! 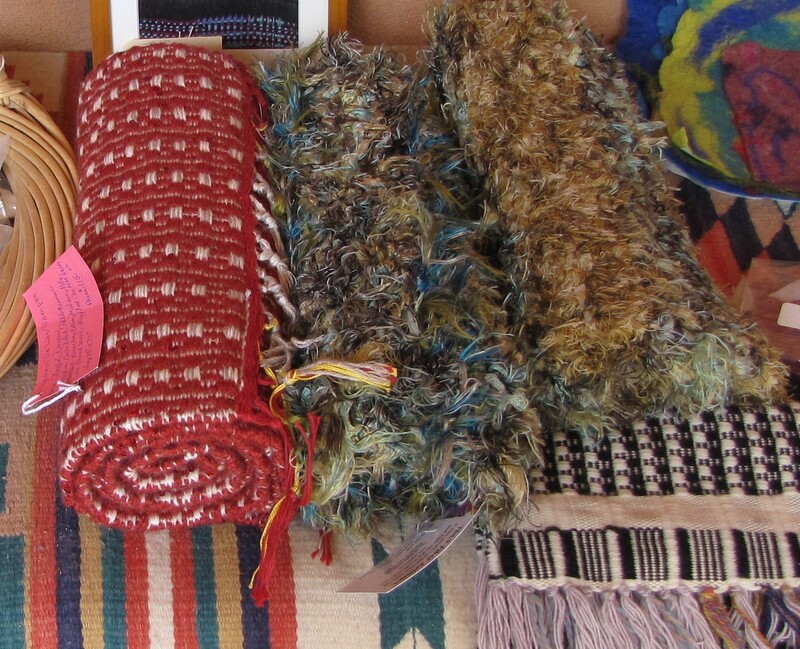 Rag rugs by Woven Hearth (left – bedsheet material, right- blue jeans). 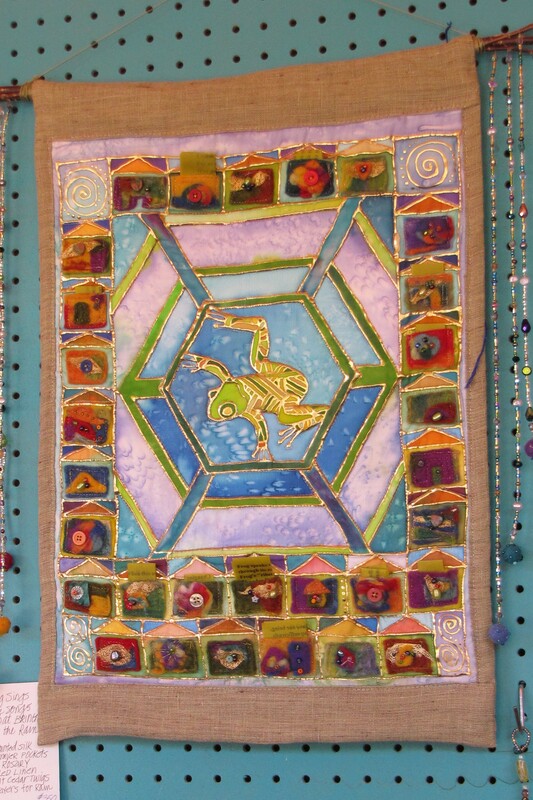 Felt art by TDLT Fiber Artists. Hanging chakra by Sacred Heart. Hand-spun skeins by Lisa Joyce Designs. 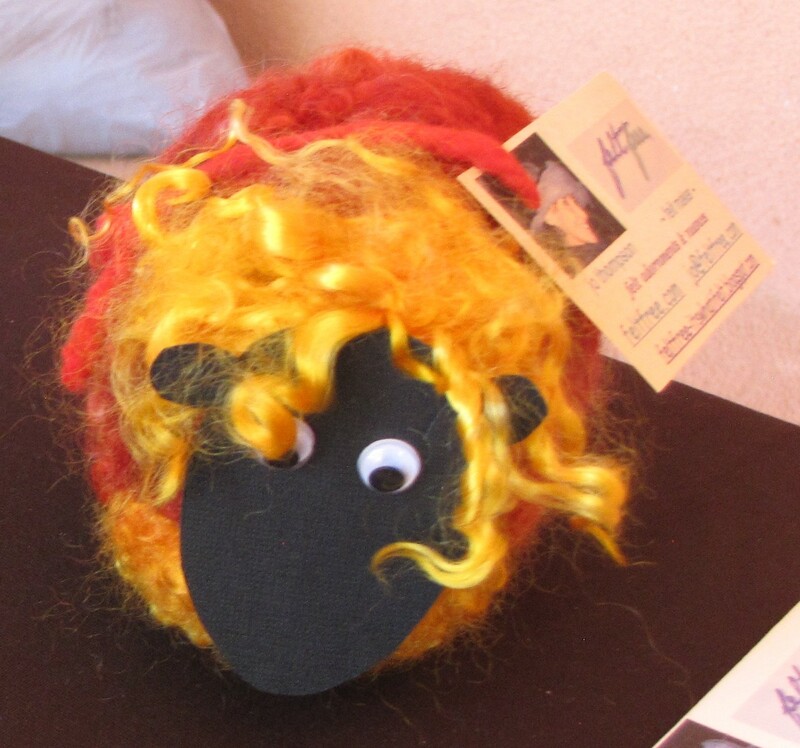 Table sheep from Felt Free. Purses & potholders by TDLT Fiber Artists. 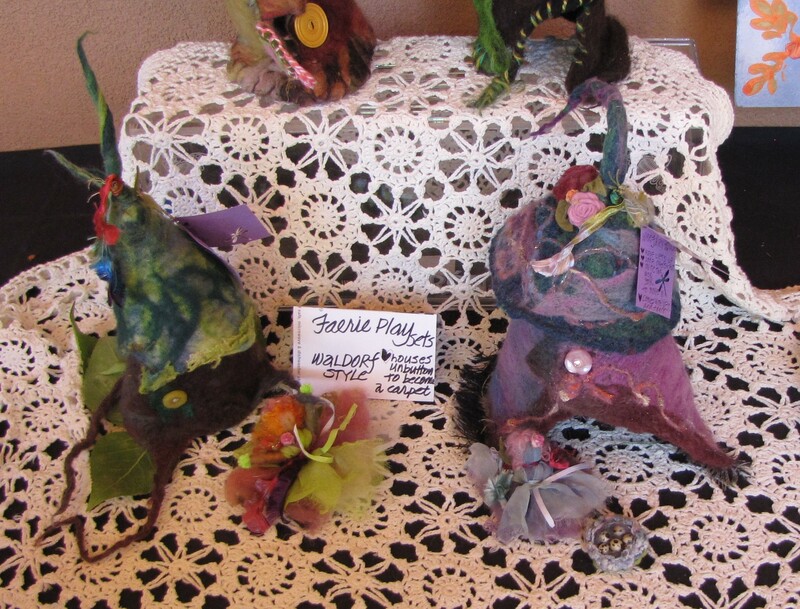 Faerie play sets by Sacred Heart. 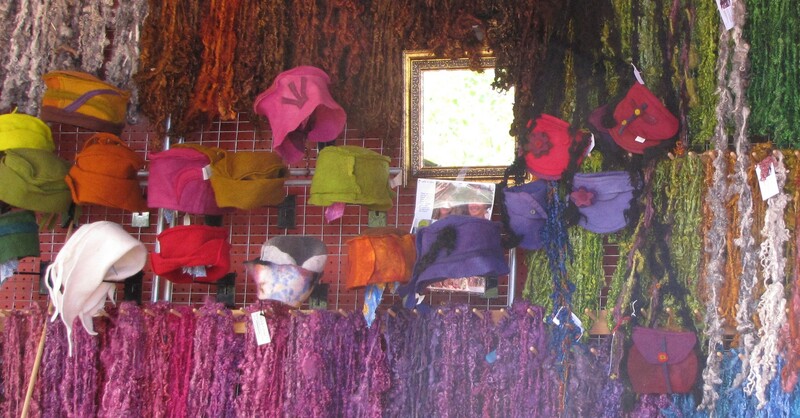 Skeins, hats, and purses by Lisa Joyce Designs. A felt purse by Felt Free. 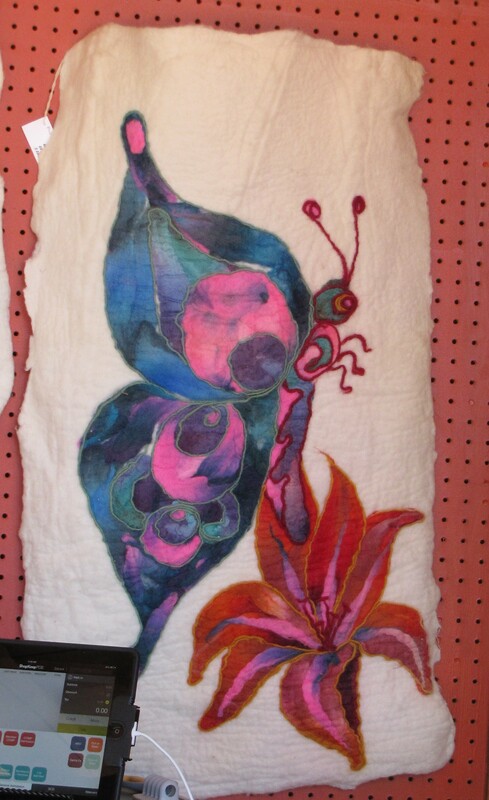 Table runners by TDLT Fiber Artists. 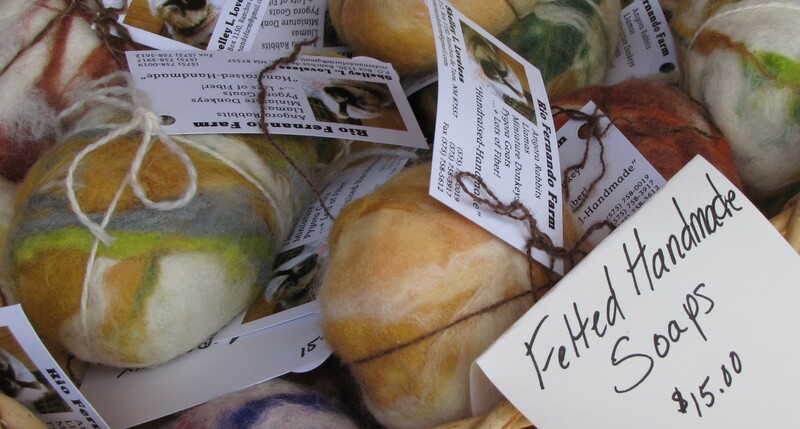 Felted soaps in various scents by Rio Fernando Farm. Spinning demo by Lisa Joyce. 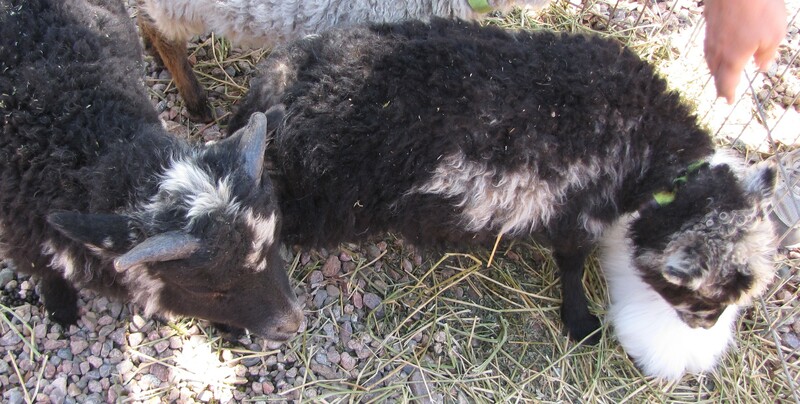 Little sheep at Las Golondrinas 2014. Placemats by TDLT Fiber Artists. Skeins by Rio Fernando Farm. 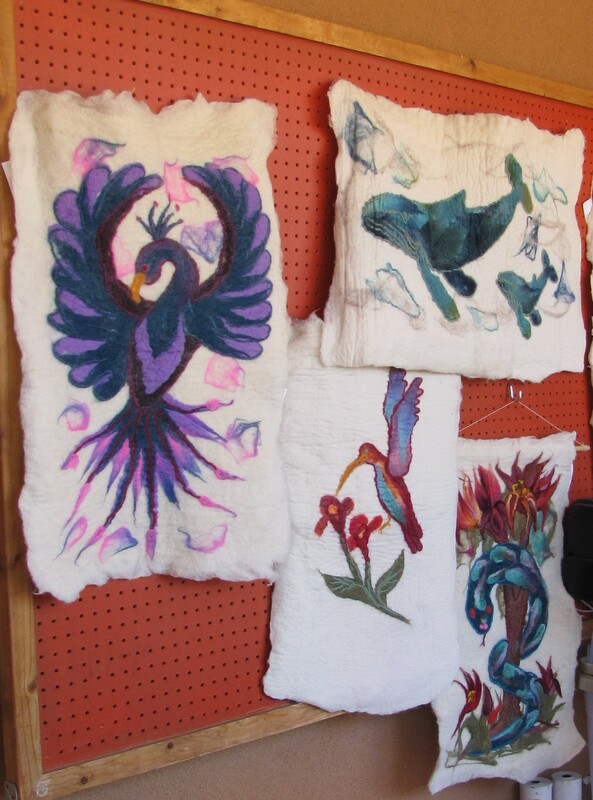 Felt work by Las Golondrinas volunteer Nicole Blais. 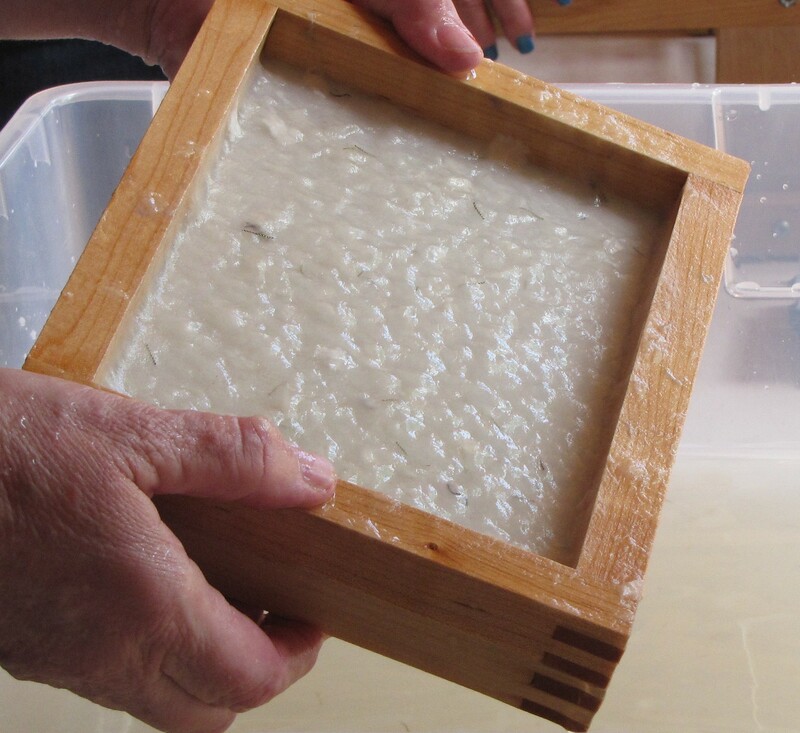 Paper making frame is pulled through a tub of water that contains pulp. 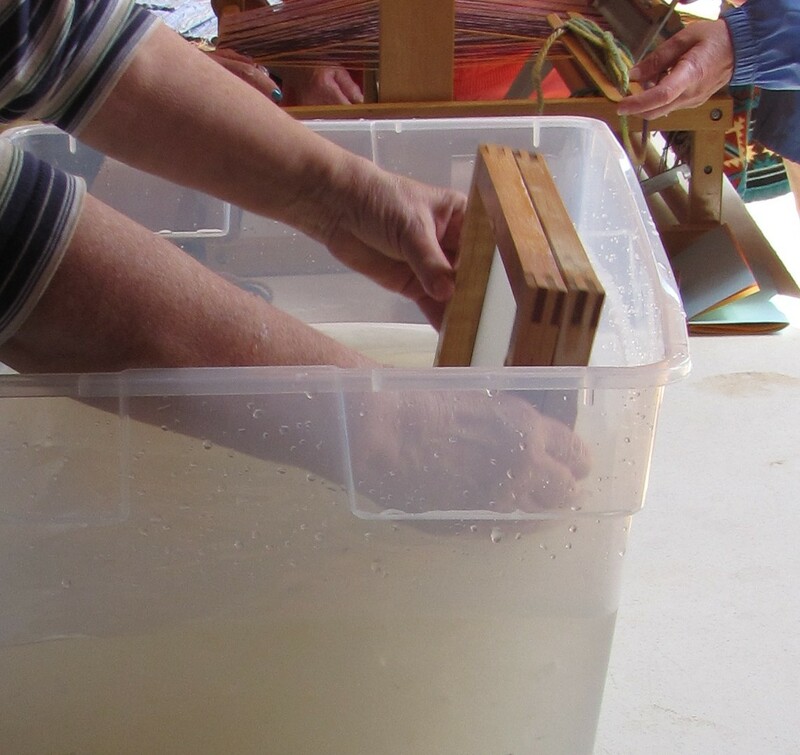 Pulp is collected on the screen with one pull through the tub of water. 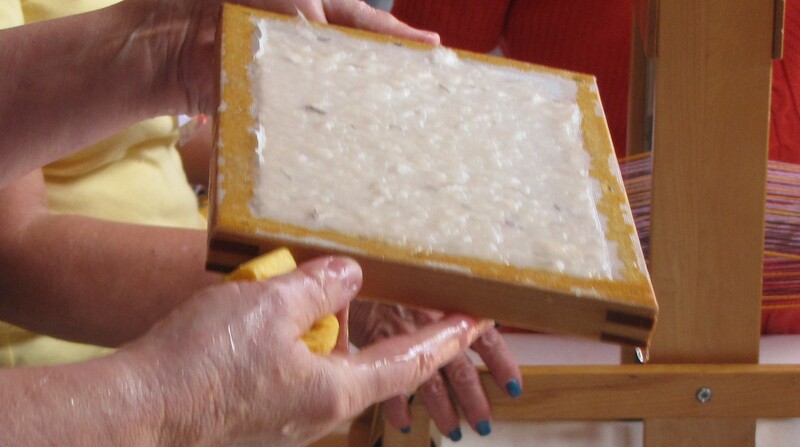 The top half of the frame is removed & paper laid face down on another board to dry. 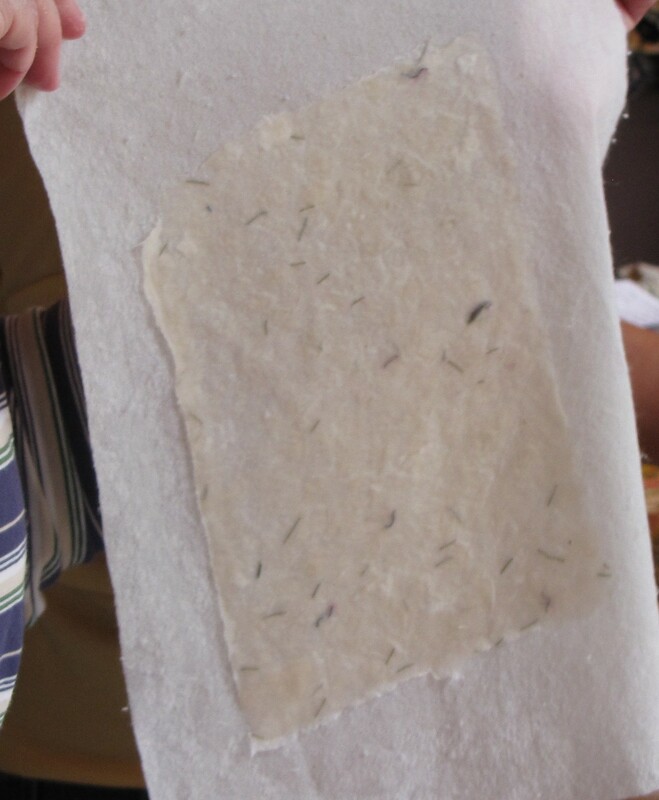 Here was have paper made at the paper demo.